Realtors know a lot about homes, from the doors and windows down to the kitchen and all of its contents. We polled our Realtors to discover their favorite kitchen gadgets! The Vitamix machine is a quality investment because it is made with you in mind! It's easy-to-use functionality, durability, and power have made it a well-known name, even with its hefty price tag. Although the Vitamix is commonly used for it's shake and smoothie capabilities, the machines also have the ability to create food such as soups, purees, nut butters, flours, marinades, and so much more just with the touch of a button. The crock pot has been around since our grandmother's time, and is the reason for some of the best home-cooked meals. As well as it's ability to produce gourmet meals, the slow cooker also saves time, reduces energy use, and is easy to clean up. Purchase your Crock Pot here! If you want to wake up and make an espresso in a matter of minutes with no fuss or clean up, the Nespresso machine is for you! Although pricey ($199-$599), the espresso machine provides quality coffee with little to no effort. This inexpensive tool has the ability to spiralize fresh veggies into healthy noodles! 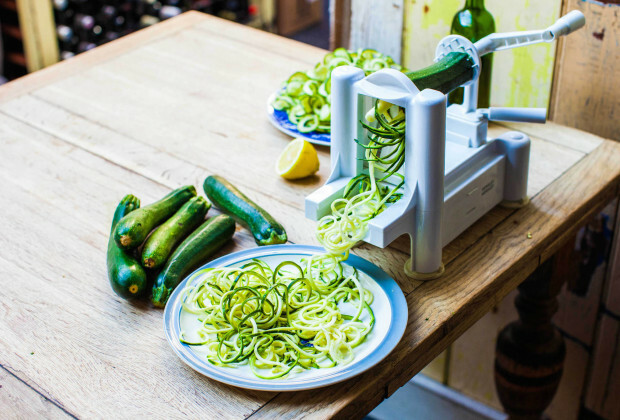 A common product of a spiralizer is zucchini noodles, known as "zoodles," which provides a nourishing base to any meal. Cutco knives have continued to impress people for 65+ years with their quality products, amazing customer service, and lifetime guarantee. 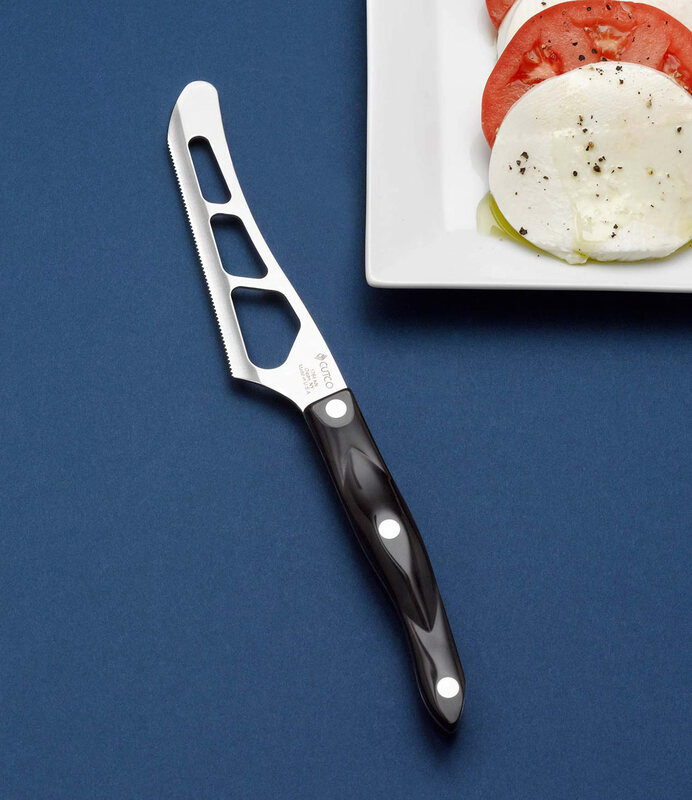 One of our favorite knives to use is the traditional cheese knife, which has perforations in the blade to prevent soft cheeses from sticking together. Purchase your cheese knife here! This wine opener is perfect for any wine-o! 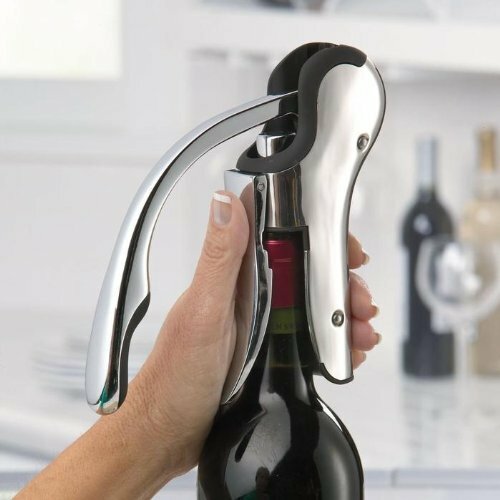 It effortlessly opens up a bottle of wine in 3 seconds, and never gives you the risk of breaking the cork. Purchase your wine opener here! 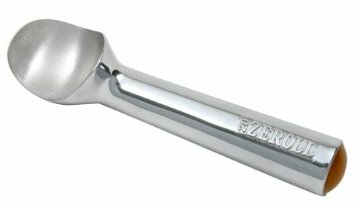 Scoop ice cream with ease while using the Zeroll ice cream scoop! The heat conductive fluid inside the handle uses the warmth of your hand to plump out perfect ice cream scoops with little to no effort. What are some of your favorite kitchen gadgets? Leave us a comment below!